VICOM has announced the FTB-8515 Packet Blazer SAN Fibre Channel test module from EXFO Electro-Optical Engineering, a designer and manufacturer of fibre-optic test, measurement and automation solutions for the telecommunications industry. The Packet Blazer SAN Fibre Channel test module has been developed for installation and commissioning of emerging storage area network (SAN) based services in carrier markets. Fibre Channel is an advanced transmission protocol increasingly found in storage area networks. Network service providers (NSPs) are now extending transparent Fibre Channel circuits in access and metro networks to multiple locations across SANs in order to increase revenues. According to a recent report from Pioneer Consulting, a market research firm specialising in high-speed telecommunications networks and technologies, the global SAN equipment market is expected to grow from approximately $US7.5 billion in 2002 to nearly $US84 billion in 2007. 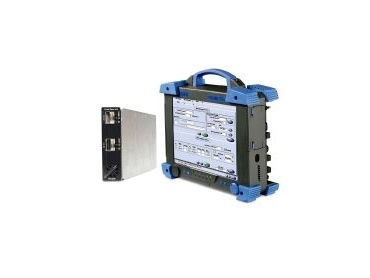 The Packet Blazer SAN module, which is contained inside EXFO's best-of-class FTB-400 field-testing platform, provides field technicians with highly accurate bit-error rate (BER) values that reflect the quality of their transmission systems. Another significant benefit is the capability to qualify the delay or latency introduced by the transport network, a critical element in deploying SAN-based services.